Our member organisations elect our board. Tony worked in marketing after graduating from Oxford with a degree in English. He’s worked with brands such as Beecham, Perrier and NatWest. He moved to Suffolk in 1991 when he was appointed director of Management Education by the University of East Anglia. He subsequently held senior academic and management roles at UEA, including dean of Continuing Education, and Business Development director. 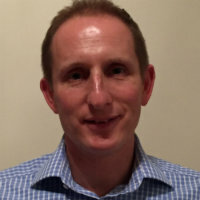 He has led successful bids to national and regional funding bodies, and implemented change management programmes with, among others, Virgin and Norfolk Constabulary. Sylvia has been a member of the board since Suffolk Libraries’ creation in 2012, serving first on the Interim Board and then as an elected board member since 2013. She was instrumental in setting up the Friends of Bungay Library, where she remains a trustee and secretary, and is very active in both the group’s activities and in promoting the library as a vital hub for the community. 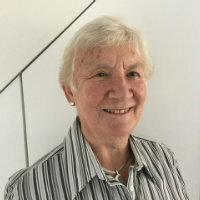 Having taken initial responsibility for encouraging and assisting other friends groups to set up across the county, she continues to advise and assist with governance issues. In 2004, following a long career in IT, she moved with her husband from London to Bungay, where he was born. She is very active in the community. She has served as a town councillor for five years and was Bungay Town Mayor 2015/16. She is a feoffee (trustee) of Bungay Town Trust, a charitable trust which owns and manages fourteen almshouses in the town. As a trustee of The Honeypot Company, which administers the existing community centre, she has been helping to spearhead a project seeking to build a new community centre for the town. She is also a governor at Bungay High School. Colin has been a resident of Lavenham since 2000 and is the current Chairman of Friends of Lavenham Library. 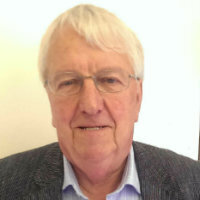 Much of his professional career was spent in local government and during the period between 1985 and 2000 he held the position of District Council Chief Executive – initially with an authority in Surrey and then a council in Somerset. In 2000, he joined the Audit Commission, followed by a four year period with the Office of the Deputy Prime Minister (ODPM) as a Lead Official. In this role, he represented the Department by working to improve ‘failing’ authorities, reporting to Ministers and senior civil servants. When ODPM was disbanded he became, and still is, a self- employed consultant, continuing to work directly to local authorities on performance and improvement issues. 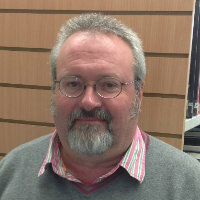 Within Lavenham, Colin undertakes voluntary work, which includes being a Director of the Lavenham Literary Festival since 2009. He is currently Company Secretary. Maureen has been the chair of the Friends of Ipswich County Library for almost two years; she brings great enthusiasm to the role. She is experienced in media, having worked for the BBC and lectured in Media Studies at New Suffolk College. In earlier years, Maureen worked for Cambridgeshire libraries and when her children were small, ran some story time sessions in Gainsborough and Ipswich libraries. As a teacher, she has worked with students of many nationalities and varied ages and has seen at first hand the need for good books that are readily available to aid research and lead to qualifications that enhance a person’s life and self-esteem. Maureen’s personal interests include reading and early music. Bruce joined Suffolk Libraries as our new chief executive in February 2018. As the chief executive officer he is accountable to the board for the day to day management of the organisation and is also a member of the Board. Bruce spent the early part of his career in the commercial conference sector for large publishing companies, before moving into the charity sector. He worked for the Institute of Fundraising where he was director of events, before becoming chief operating officer and then interim CEO. He was regional director for St John Ambulance for five years, with responsibility for the charity’s activities in East Anglia and then a larger area covering 12 counties in Eastern Britain. At St John Ambulance his remit covered the work of 7,000 volunteers and first aid cover at 6,500 events a year. Sue is trustee of the Friends of Long Melford Library, and has been energetic, enthusiastic and successful in establishing the group and raising its profile through events. She is very active in her local community, fundraising for organisations including the Children’s Society, St Nicholas Hospice and her church, where she also served as an officer on the church Council for many years. Now retired, Sue worked for many years as a self-employed barrister. She also served as deputy treasurer of her chambers for 11 years and as a staff liaison officer for 13 years. Sarah is an enthusiastic supporter of Suffolk Libraries and very aware of how lucky we are to have access to such an excellent library service. She values and supports the inclusive and diverse services Suffolk Libraries offers to everyone in the community. She has lived in Suffolk for over 30 years, and has used public libraries since her childhood. 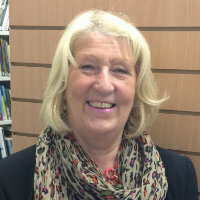 Following four years on the committee of the Friends of Capel St Mary Library she moved to Felixstowe in 2017, where she helped to establish the new Friends of Felixstowe Library group. Sarah has had a varied and interesting career in the public sector associated with farming and the environment. This included many years in senior management roles based in East Anglia and London, which were associated with government environmental policy, business development and change management. Sally is a keen promoter of Suffolk Libraries and its aims of sharing good practice and ideas and ensuring a viable and thriving library service in Suffolk. 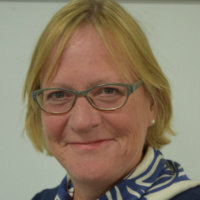 She has been a member of the Aldeburgh Library Foundation Trust (ALF) for nearly three years, using her strong local connections to develop and maintain partnership working with other organisations. Among other things, Sally has volunteered at Aldeburgh Independent Community Cinema, as a guide and former trustee of the Britten Pears Foundation at the Red House and as a governor of a local primary school. She has also supported the local carnival. 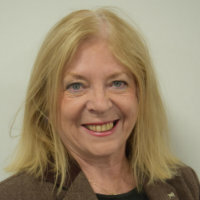 Sally’s career involved senior strategic planning and policy development in the public sector including local government, health services and professional membership and regulation bodies as well as charities and voluntary organisations. She has worked in and led organisations ranging from large multi-million pound hospitals and medical colleges to small charities with little money but which punch above their weight, including those dedicated to helping young people experience citizenship. Sally has advocated successfully for organisations with funding challenges and is used to working as part of a team to deliver a common goal.